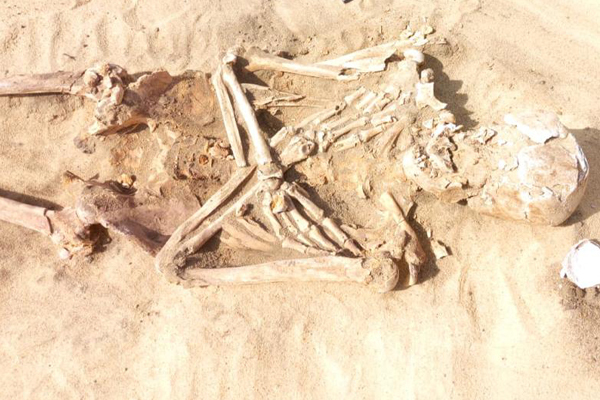 During excavation work carried out at the Quweisna quarries in Menoufiya, an Egyptian archaeological mission stumbled upon a limestone sarcophagus containing two mummies. Mostafa Waziri, secretary-general of the Supreme Council of Antiquities, said that the sarcophagus is two metres tall and 60cm wide and is in good condition. The two mummies inside are on top of each other, and are in poor condition. The sarcophagus, which has some gilded fragments, and its contents have been sent to Kafr El-Sheikh storage gallery for restoration. 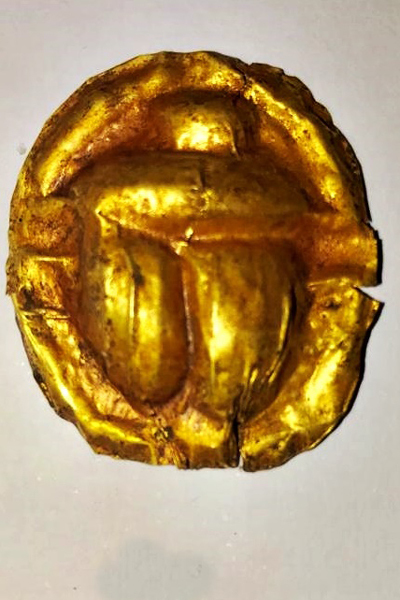 A collection of clay pots, amphorae, plates, and amulets and scarabs carved in gold and faience were also found, along with bronze coins from the Ptolemaic era. 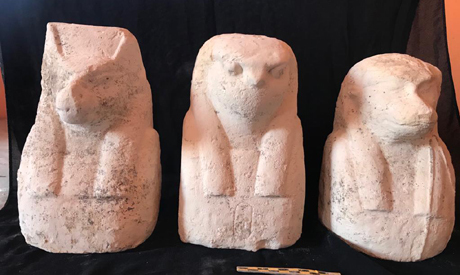 Three damaged statuettes depicting three of the four sons of the god Horus were also found. The amulets were transported to the Egyptian Museum in Tahrir for display.